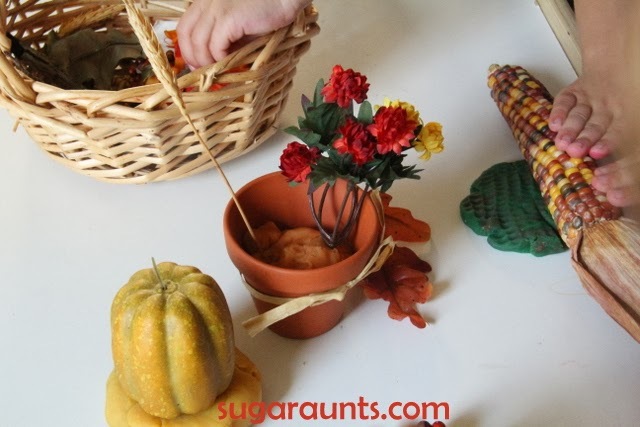 We pulled out our fall bin from the attic and had some fun with Indian corn, fake mums, and autumn leaves. We had fun one day playing with play dough and pressing different fall items into play dough to see what the impressions looked like! 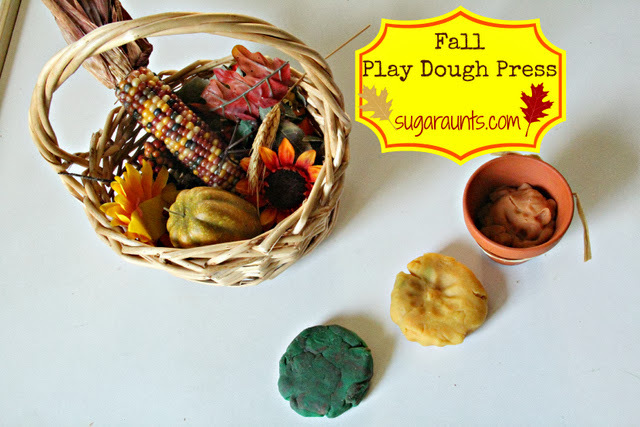 We rolled corn in play dough, pressed fake flowers into the dough, and even pumpkins and stalks of wheat. It was fun to press the items in the dough and then ask each other what they thought made the impression. 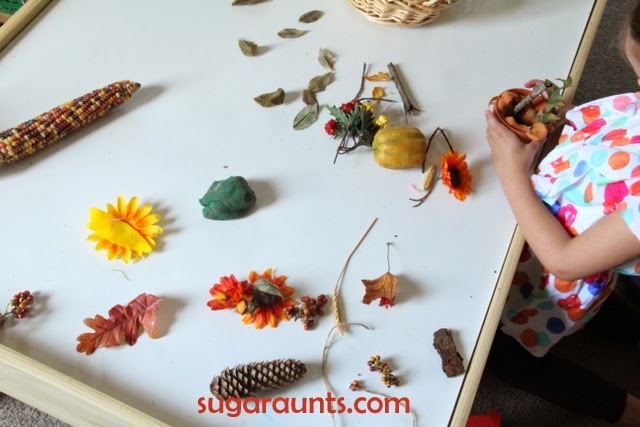 Have you decorated yet for fall?